A recent court challenge before the British Columbia Supreme Court threatened to change the rules of the game for the Canadian healthcare system -- should the challenge have made its way to the Supreme Court of Canada and found success there. Dr. Brian Day of The Cambie Surgeries Corporation is contesting the ban against 'extra billing' for privately provided health services, and for the right of doctors to work simultaneously in both the public and private health spheres. However, recently the judge permitted an adjournment of the case to March of next year to allow those involved the possibility to resolve some of the issues before the court -- so it is not likely to be the game changer that some Canadians hoped and many Canadians feared. One thing is certain: pundits from the left and right are sure to weigh in further on the issue, and there are other similar court challenges popping up in other provinces. How our health system should be reformed, and in what measures, is nothing short of a national pastime in Canada. Too bad many get the facts wrong. Here are a few basics everyone should know. Canada has a publicly-funded healthcare system, but the vast majority of doctors do not work for the government. A patient is free to choose which doctor they wish to visit, and they are entitled to essential physician health services without charge. Doctors are self-employed, which means they can determine their own hours and work location, and they are responsible for paying their employees, for office space and other overhead expenses. Doctors earn money by billing their provincial government for the services they provide to patients. The Canadian health system is often referred to as "socialized" medicine, but it is actually a mix of private providers billing governments for publicly funded services. People often refer to the "Canadian healthcare system," when in reality, it has distinct health systems for each of the provinces and territories. The Canada Health Act outlines the basic tenets for healthcare to be universal and accessible for essential physician and hospital health services across the country. However, the details of how each system operates, including what is covered and how, is determined provincially. In addition, the federal government has responsibility for Aboriginal and Veteran healthcare. Add it together, and Canada has a whopping 15 unique healthcare systems. On the plus, this means provinces can tailor health services to the particular needs of their residents; the downside is that coordinating health reforms across the country remains a significant challenge. The Canada Health Act guarantees that essential physician and hospital services are paid for by the government, but there is variation across provinces for what is considered an "essential health service" -- and even who delivers the care or where care is delivered. For example, Quebec's publicly-funded system includes fertility treatments, while most other provinces do not. Some provinces, including British Columbia, Ontario and Quebec, pay for births delivered by licensed midwives, while several provinces and territories do not. Eligible funded therapies for autism vary widely across the country. Abortion services are not equally accessible across the country. The Canada Health Act does not cover prescription drugs, home care or long-term care, and as a result, there are widely different approaches for these services in each province. Canadians cannot be charged a "user fee" when a physician provides an insured service (something already covered by the publically funded health system). But some physicians get around the letter of the law by charging "annual fees" as part of a comprehensive package of services they offer their patients. Such charges are completely optional and can only be for non-essential health options. 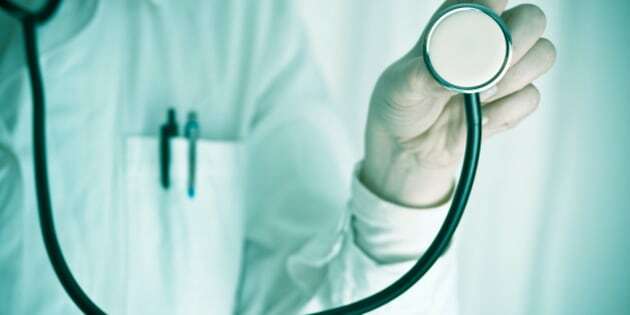 In some provinces, doctors may charge a small fee to the patient for missed appointments, for doctor's notes and for prescription refills done over the phone -- all items for which a doctor receives no payment from the province. Canada has extensive public financing for essential physician services and hospital care -- among the highest rates in the world. But most Canadians have to pay for eye and dental care out-of-pocket, and more than 60 per cent of prescription medications are paid for privately in Canada. Canada is the only country with a universal healthcare system that does not include prescription drugs. This means that Canadians still pay for approximately 30 per cent of their healthcare directly or via private insurance with only 70 per cent of health costs paid for publicly. In fact, Canadians are as likely to hold private health insurance as Americans. Kathleen O'Grady is the Managing Editor of EvidenceNetwork.ca and a Research Associate at the Simone de Beauvoir Institute, Concordia University, Montréal, Québec. Noralou Roos is a Professor in the Department of Community Health Sciences, Faculty of Medicine, University of Manitoba and Director of EvidenceNetwork.ca.